Ok so this one is more for the ladies. Be the best bride you can be is about you on your wedding day in peak condition. Since all eyes will be on the bride it kind of makes sense to be in the best place physically, emotionally, mentally. So we have come up with a plan which starts from three months counting down. Three months is enough time to make changes. Lets face it your wedding day is the one day where all eyes will be on you. You are the star of the show – Don’t let hubby to be tell you otherwise! You want to have lots of energy and avoid lethargy. Find your local greengrocer in your town and explore the fresh vegetable and fruits aisles. 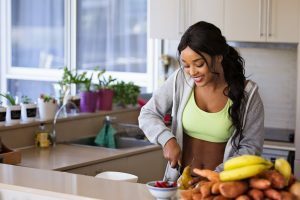 As a counter from eating and testing all those cakes you want to balance by eating foods that give you fuel. Drink lots of water – Your partner will think you are glowing and shiny because of the strong love between you. Well that is of course true, but another factor which you don’t need to publicise is the copious amount of water you have been drinking. Not only should good food play towards being more healthy it is always a good idea to target and keep on top of any physical systems that are constantly under attack. So as well as eating your greens we might imagine the stresses of wedding planning might increase chance of acne and spots. We recently discovered BigGreenSmile.com They are one of the biggest online retailers of natural and organic products in the UK. 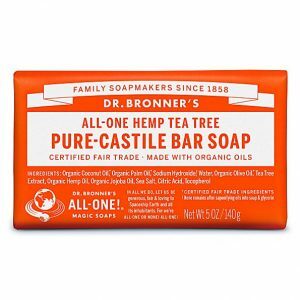 Using organic tea-tree soap that doesn’t dry out your face is a great way to keep skin right. Wearing a very heavy dress without the strongest or practical shoes! and thats not to include any stress whatsoever ! So by working backwards what do we want to achieve. You don’t want to look like a body builder – Aim for a French exquisite look, where wedding guest will remember the words elegant, graceful, delicate and extremely beautiful. 99% of wedding gowns are designed this way so you will have less customisation to do. Go for tone. Things like yoga, swimming, Maybe some high intensity training to work on losing some inches. You don’t need to spend much money, nor add hours to your already busy daily ritual. Just thirty minutes a day at home. Simply lie down face down and with elbows to the floor try and maintain a straight posture. Holding this position for a while is going to work your abs, back and core. The Plank is one of the best exercises for core conditioning yet it also works your bum and hamstrings, supports proper posture and improves balance. This is the ker-ching your wedding body has been waiting for. The test is that if you can’t hold a plank for 120 seconds, you’re either a) too fat, b) too weak, or c) doing something wrong in your workouts. A fit, healthy person should be able to hold on for two-minutes before feeling the burn. If you’ve been good and started 12 weeks back you would most likely be in good shape. Take plenty of rest by ‘trying’ to get to bed and sleep at an early hour.